Being out in the bush doesn’t mean you miss out on solar power rebates and incentives! While the Renewable Remote Power Generation Program (RRPGP) ended some years ago, the Solar Credits subsidy is still available so off grid solar power rebates are available. 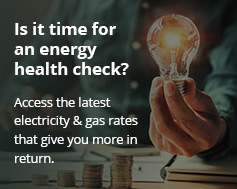 This page contains information on off grid solar power rebates for households, communities, not-for-profit, business, government and other organisations, in remote areas of Australia far from a mains electricity power supply. On Thursday, June 24 2010, legislation was passed for Australia’s enhanced Renewable Energy Target. As part of this legislation, financial incentives are available for people installing off grid solar power systems. Households and businesses installing systems on buildings are eligible to receive the Solar Credits subsidy. The savings can amount to thousands of dollars for large systems. The system is based on Renewable Energy Certificates; more recently referred to as small-scale technology certificates (STCs). The system must be installed at an eligible premises. RECs/STCs are issued by the Office of the Renewable Energy Regulator; created to ensure that Australian Government meets its Mandatory Renewable Energy Target (MRET) of 20% by 2020.